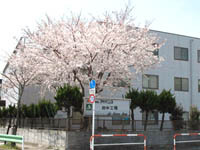 Fuchu Factory - ADVANCE CO., LTD. The Fuchu Factory is a licensed medical equipment manufacturer engaging in the manufacture, production and quality control of “bioelectronics” products in which biotechnology and electronics are combined, such as the “Winzard” home-use low-frequency therapy device, “FROPY FY-200” large-size commercial yogurt maker, “Mupid” series of submarine-type electrophoretic devices for use in biotechnology labs and “Cadim” 3D-CAD/CAM equipment for computerized processing of bioceramic dental restorative materials. These products have unique advantages and represent great contributions to society. 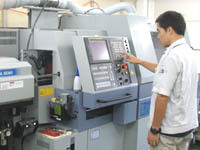 The factory maintains a safe and sanitary production environment while securing production capacity for a stable supply of high-quality products, improving production lines to allow flexible setup for a large variety of products, and reviewing design specifications for better manufacturability and quality control. In order to meet the ever-evolving needs of the bioelectronics market, we will continue to review all aspects of our operations, including the improvement and enhancement of manufacturing technologies and production processes.